In this Spotlight we’ll discuss a currency that has undergone several iterations since its introduction – the córdoba. So whether you need to buy Nicaraguan córdobas or are just interested in learning about it, we’ve got you covered. Before we get to the modern córdoba, we have to discuss how it began. The first edition was released in 1912, about on par with the US dollar. 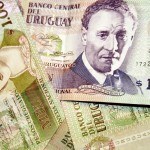 It replaced the peso moneda corriente at a rate of 1 córdoba to 12.5 pesos. The name came from Francisco Hernández de Córdoba, the Spanish conquistador who discovered Nicaragua. A second series was introduced decades later (1988 to be exact), with slightly higher denominations and a value of 1 to 1000 of the first iteration. Finally in 1991, the córdoba we know today was released at a staggering value of 5,000,000 to 1 of the 2nd córdoba. While the currency has remained in place since then, the value has steadily declined relative to the US dollar – especially over the past decade. All coins in the current series are differentiated by composition (including copper, brass, and steel). 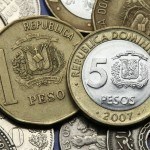 They all feature the Coat of Arms on the obverse while all except the C$10 coin include the inscription “En Dios Confiamos” – which translates to “In God We Trust” (sound familiar?). The current series of banknotes was introduced in 2009 – with polymer notes replacing the older paper ones. Like many notes around the world, they are differentiated by colour. 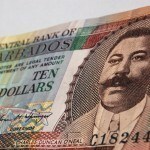 They feature landmarks or other important scenes and symbols of the country on both sides of the bill – as opposed to portraits. To commemorate the 50th anniversary of the Central Bank, a unique bill was printed with a vertical orientation. Since the introduction of the 3rd córdoba, the value of the NIO has steadily declined against the USD. From a value of 15.5515 NIO to 1 USD in December 2003, it has since fell to over 27 NIO to USD. On the other hand however, it has been a pretty steady decline so investors haven’t had to worry about massive shocks if exchanging USD. Despite progress Nicaragua has made over the past several years, it remains one of the poorest and least developed countries in the Americas. Largely agricultural based, major moneymakers include coffee, beans, cattle, and plantains. Despite the diversified base, agricultural exports have been on the decline since the 1990’s. On the positive side, the service industry (particularly tourism) has expanded greatly, becoming the single largest industry in 2007 – so there is light on the horizon. The country is safe and with tourism only increasing, Nicaragua looks set for more positive growth in the future. While Nicaragua has long been one of Central America’s poorest economies, it appears that increased tourism, safety, and stability will help the country work towards a brighter future. Whether you need to buy Nicaraguan córdobas or any other of over 160 different currencies, we’ve got you covered! For a broader understanding of Nicaraguan history and culture check out our Country of the Week profile. For information about traveling to Nicaragua then be sure to follow our Travel Guide.